Dr. Devender Singh is an Orthopaedic Surgeon and has an experience of 25 years in this field. He practices at IBS Hospital in Lajpat Nagar, Delhi and Batra Hospital & Medical Research Centre in Tuglakabad, Delhi. 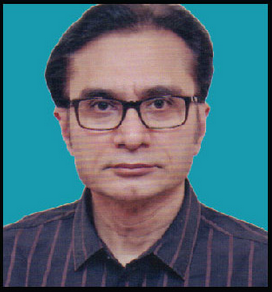 He completed MBBS from Lala Lajpat Rai Memorial Medical College, Meerut in 1988 and MS - Orthopaedics from Lala Lajpat Rai Memorial Medical College, Meerut in 1992. He has done fellowships in trauma & replacement. Special interest: Acetabular/ Pelvic fractures and joint arthroplasty. Have done more than 500 arthroplasties. He has published and printed several number of papers. An active member of professional bodies. Life member of IOA, U.P. Chapter of 10A & DMC. Some of the services provided by the doctor are: Neck Pain Treatment, Fracture Treatment, Knee Pain Treatment, Joint Dislocation Treatment and Joint and Muscle Problems etc.